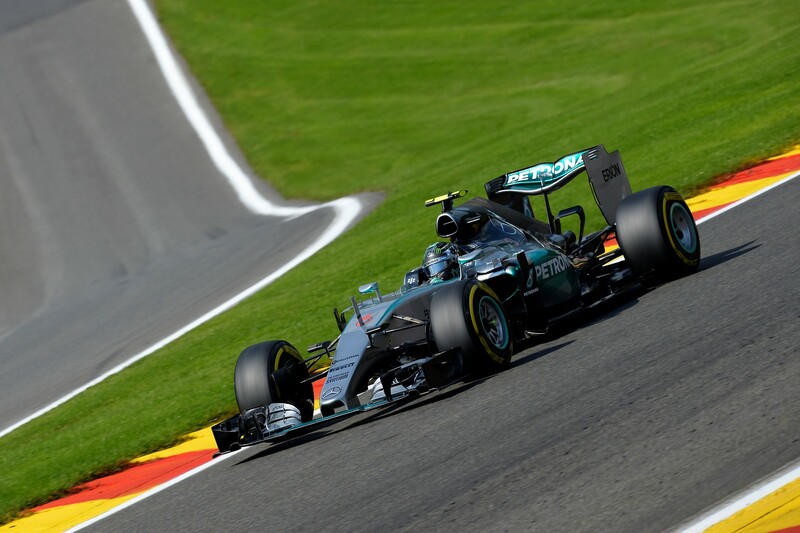 Mercedes driver Nico Rosberg says the tyre failures which befell both him and Sebastian Vettel at the Belgian Grand Prix are not acceptable and that the situation will need to be amended prior to the next race in Italy. Rosberg's right rear tyre failed during Friday's second session and Formula 1 tyre supplier Pirelli later pinpointed the cause down to external cuts, rather than any structural issues. Vettel suffered a tyre failure on the penultimate lap of Sunday's Grand Prix, having completed 27 laps on a set of Prime tyres prior to the incident. "Vettel blowing up his tyre - it's really not acceptable, for either of us, for me on Friday or for him," Rosberg explained in his post-race video blog. "If it had happened a couple of metres earlier or later, we would have had huge shunts, one of the biggest ever, because the track is so fast." Rosberg has suggested that Formula 1 needs to use rear-facing cameras in the future. "The next track is Monza, one of the fastest tracks of the year, so they have to think of something to try and improve that situation," he said. "For example, activating all the rear view cameras, the teams are watching that so they can see before a tyre explodes or something and give us warning, something like that." Mick Schumacher: "It was emotional and fun"